There are hundreds of posts on this blog filled with information about how great Icelandic landscapes are. But we would like to share a different side of Iceland not many people think of visiting. While Iceland is primarily all about nature (and rightfully so) why not mix it up with some unique and modern Nordic architecture? Today we'll learn about one of the most remarkable buildings in Iceland: Harpa Concert Hall. 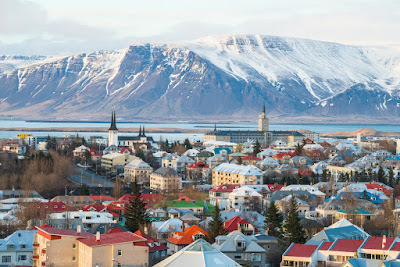 Reykjavik is the northernmost capital city in the world. In addition to this awesome distinction, the city has a lot to offer. This includes some cutting-edge buildings. The truth is, Reykjavik is not exactly a big city. When compared to some other capitals, one could consider Reykjavik just a village. Size does not matter in this case. When you step foot in Reykjavik, you will notice how vibrant the city is. People come and go, and so do fashions and fads. The city and its inhabitants are forward-looking, and they love setting trends. So why would we build a boring, average, normal looking concert hall? Nope. Not us. 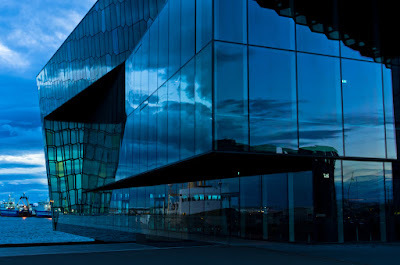 The Harpa Concert Hall is the best example of how trendy and cool our city can be. But, what is the Harpa? When was it built? 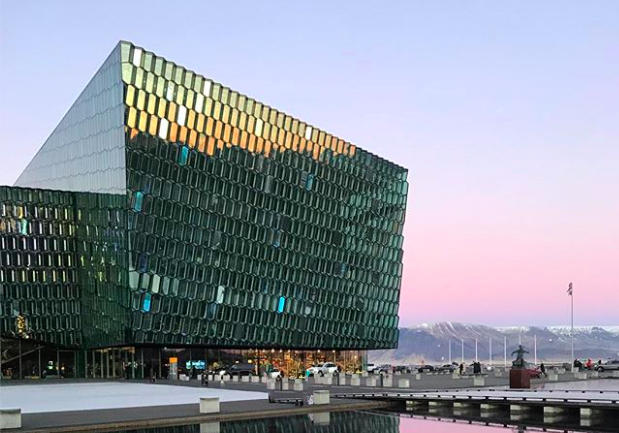 There is so much hype about this building but, what exactly is the Harpa? Well, it's a spectacular building you can visit by heading to the port side of Reykjavik at Austurbakki Street, 2. It's within walking distance from Laugavegur Street as well as from Hallgrimskirkja Church. All of these sights are right in the heart of the city center. The building is home to the Symphonic Orchestra of Iceland and the Icelandic Opera Company. The building is 28,000 square meters (301,389 sq ft) that are divided into four concert halls. There are three main halls and a more compact one for intimate, up close and personal performances. Also, Harpa Concert Hall has some rehearsal rooms, changing rooms and administrative offices as well. It provides all necessary infrastructure for local artists and international ones. Nowadays, the building is one of the main tourist attractions of Reykjavik, and most Icelanders feel very proud of it. Its amazing architectural style still wows locals and visitors, but years ago this wasn't the case. When the project came out, there was a lot of controversy. The impetus behind this project was the need to revitalize the harbor and port area of Reykjavik. The city also lacked an adequate place for artistic performances. The plans were approved, but it took way too long to be finished. Building work commenced in 2007 but did not end until 2011, when the hall opened its doors to the public. The budget of the project was too high, and its construction took too long. This caused criticism and disapproval from the Icelandic people. The plan coincided with the huge financial and economic crisis that Iceland was going through at the same time, and many were unhappy. Doubts also arose over the fact that the project was way too large for such a small city. As we explained before, the building is immense and provides four different concert rooms for a city whose population is less than 120,000 people. Harpa Concert Hall finally opened its doors in the spring of 2011. Many still consider it to be oversized but also praised its architectural style as well as the great acoustics of its rooms. Nowadays, the building has become an icon not only for Reykjavik’s downtown but also for Iceland. The construction is the result of cooperation between Danish and Icelandic architectural studios. Henning Larsen Architects and the Icelandic Batteríið Architects worked together under the direction of the artist Olafur Eliasson to bring the project to fruition. 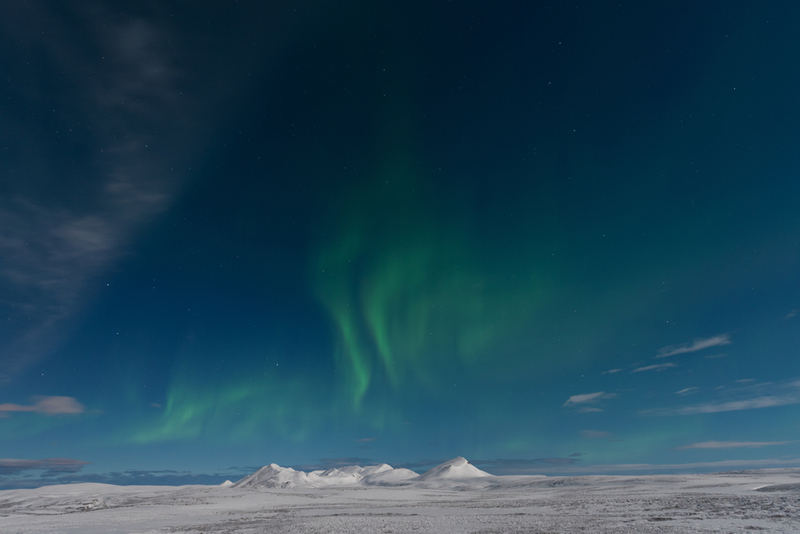 Olafur found his inspiration in the tradition and landscapes of the Nordic island. And that is precisely what you can see when looking at the Harpa concert hall. You could say that the most significant element in the construction is its unusual façade. It's made of glass, and its transparency reflects light in a beautiful and sophisticated way. The front of the building does not change, but you will never see it in the very same way twice. Its shimmering cover reminds us of a fish's scales, and Iceland is all about fishing and the sea! Besides that, the way the building rises from the ground imitates the typical Icelandic basaltic columns you'll see all over Iceland. 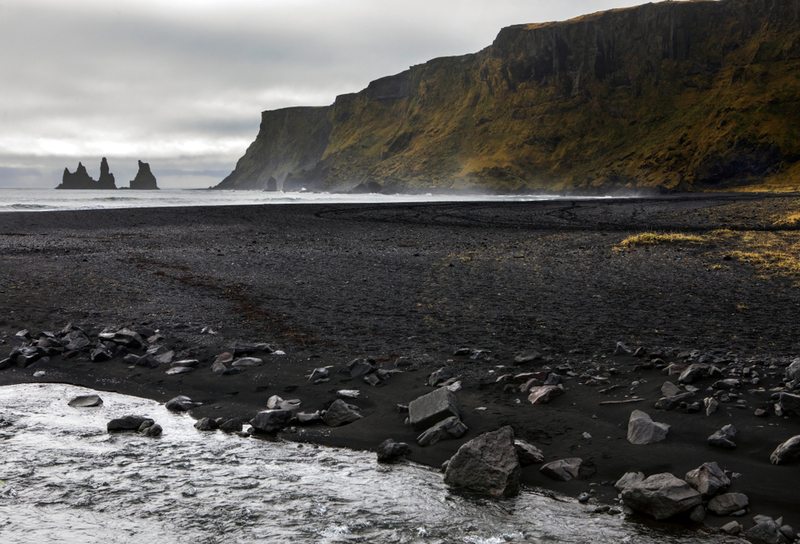 They are especially prevalent on the South Coast in places like Vik with its black sand beaches. Try to visit the venue on a sunny day. You'll love how the light creates shadows and patterns full of color and light bouncing everywhere. Pay particular attention to the main entrance to the building. It reminds many of the ocean mixed with mountains in the background and a clear, blue sky. Despite all the criticism and costs, the building has now earned a positive reputation within the architectural community. 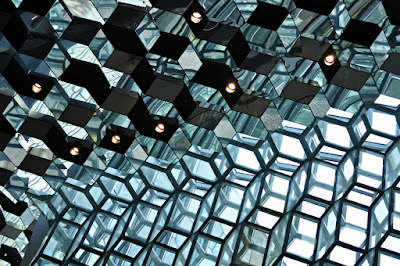 Harpa Concert Hall won the prestigious Mies van der Rohe award in 2013. This is the most important award in the European architecture industry. It has also received positive reviews from many international juries and specialists in the field. As you can see, there are plenty of reasons to have a stroll and visit the Harpa Concert Hall. It is a unique building that has given a boost to the port area of Reykjavik. Iceland's tradition and natural heritage are permanently engraved in this building in a beautiful and modern way: You definitely shouldn't miss it! Harpa is open every day from 8:00 to 24:00 but bear in mind that the box office is only open from 12:00-18:00. The main offices are only open during regular business hours on weekdays from 9:00-17:00. Many events take place at the Hall. If you feel like doing a bit more than sightseeing, you can check the hall's schedule and events online by visiting their website. Everybody wants to explore Iceland nowadays. It’s just one of those hot tourist destinations that everyone wants a piece of. And if you are reading this, we assume that you’ve already discovered that a trip to Iceland isn’t cheap. It’s actually one of the top three most expensive countries in the world. This sobering fact will affect every part of your Iceland budget, from what you eat to where you stay. We don’t want astronomical prices to hinder you from traveling here. It would be such a shame to miss the charming fishing villages and breathtaking landscapes that await you. That is why we’ve got some advice for saving money as you prepare for your Iceland trip. Once you are here, there are other things you can do to keep your spending under control. But before you land on the shores of this beautiful, expensive island, let’s try to save you a few pennies. Your flight to Iceland is probably one of the first things that you will look up online. As everyone knows, the earlier you buy your tickets, the cheaper they will be. You can use websites like Skyscanner to help you to find cheaper tickets for your dates. If you haven’t yet decided when you want to go to Iceland, you can try out their “cheapest month” tool. This will yield you some really low prices. Another thing to consider is that direct flights may not be available from your country or city. And even if there are, they could be really expensive. We always recommend checking flights with a layover. There are several low-cost companies that regularly fly to Iceland, such as WOW Air, easyJet or Wizz Air. Try to plan your trip and book your flight as far in advance as possible. You may also be able to take advantage of some flash sales the airlines offer. Sign up for the alerts. As with airline tickets, booking your vehicle sooner rather than later will help you to save some money. That is our tip number one for car rentals as well. We have already talked about prices and recommended car rental companies before, so we won’t delve further into this topic. However, we highly recommend you to check on the companies’ websites in case they have any offers available or if they can give you a reduced price. Many times, car rental companies will offer steep discounts to travelers taking their vacation during low season. You can get up to 50% when traveling during off-season or shoulder season. That amounts to massive savings. Think about coming in the fall or even planning a winter holiday as a way to save major amounts of dough. 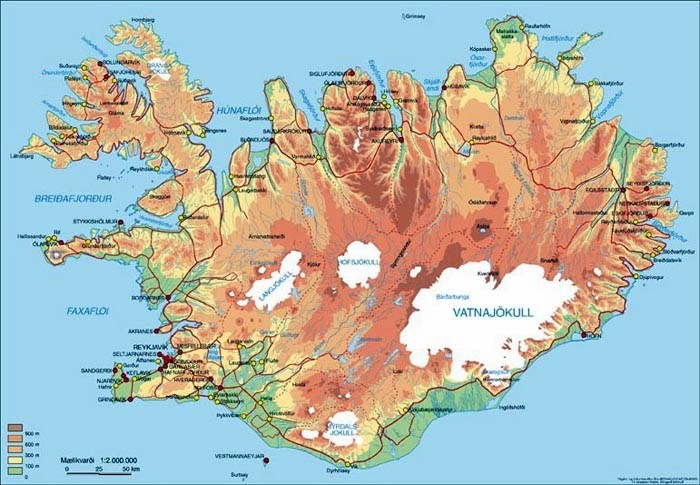 And if you plan the route and cities on your Iceland trip itinerary in advance, you could save money on your rental. Remember that if you are not traveling on gravel roads or F-roads in Iceland, there is no need to rent a more expensive 4x4 car. This will definitely reduce your car rental budget. 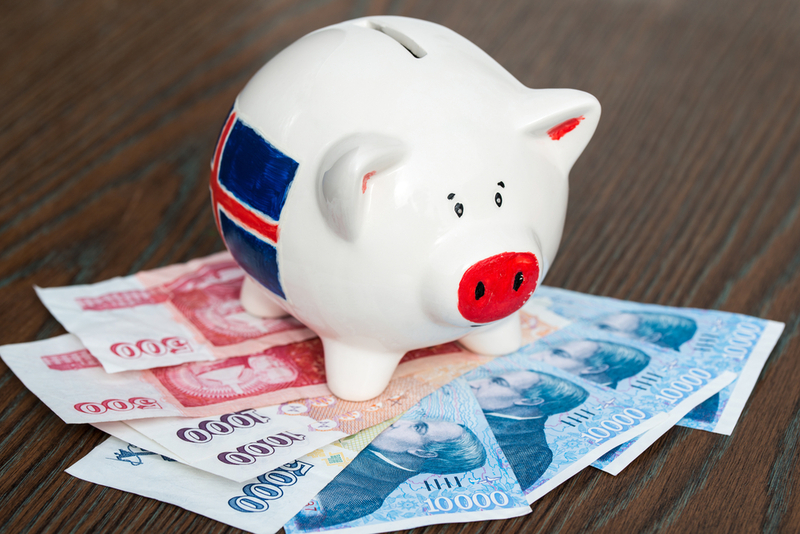 With Iceland being so expensive, keeping your budget in check with accommodation imperative. Before you know it, you could easily spend several hundred dollars, euros or pounds on just hotel rooms! Keeping an eye on your accommodation budget is important, if only for the health of your bank account. Consider the different possibilities available besides hotels. What is undoubtedly the cheapest option? Camping. You can use campsites or check other places where camping is allowed. However, if you enjoy being surrounded by nature and sleeping under the stars, we have a suggestion that’s too good to pass up: renting a campervan. Campers are the perfect hybrid of accommodation and rental car. This option allows you to explore Iceland with total freedom and spend the night wherever you like. Remember that there are some limitations on where you can camp. Using campsites is highly recommended. If you are not keen on sleeping in campsites and you prefer the warmth and comfort of being under a roof, we suggest having a look at the different guesthouses available all around Iceland. You might even find a bargain on Airbnb; it’s always worth a try! Whether you choose tent camping or renting a camper, bringing your own stuff will help you to save money. If you are camping, bring your own tent or sleeping bags if possible. Power chargers, adaptors or inverters can be easily carried and will reduce your expenses. 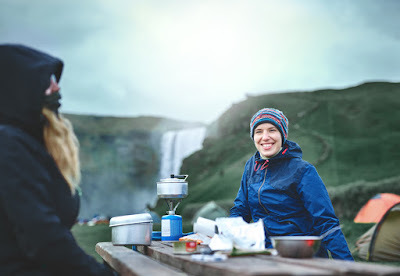 If you do not want to pack those things, Iceland Camping Equipment Rental is a great website that allows you to rent your gear. You will have to include them in your projected budget. But at least you’ll save some space in your luggage. Iceland is about enjoying nature. Delighting in the country's magnificent scenery does not have to cost an arm and a leg. When preparing for your trip, choose wisely among the different suggestions and enjoy your time in Iceland. When looking at the temperature of Iceland month by month, January is definitely one of the colder times of the year. With an average high temperature of just 37 ºF (3 ºC) during the day, you’re definitely in for some chilly weather if your trip is in January. It’s even colder at night, with lows dipping to around 27 ºF (-3 ºC). You’ll likely be throwing on a lopapeysa wool sweater and plenty of layers to keep warm. But what about snowfall, winter storms, and other natural phenomena? Iceland’s January weather is something you need to be prepared for, regardless of how many days you’re thinking of staying. It will impact not only the activities you can participate in but also how to plan your journey. Ready to see some frozen waterfalls, warm up by taking a dip in hot springs, and experience the winter wonderland that is January in Iceland? As previously mentioned, the average high in Iceland in January is 37 ºF (3 ºC), and the average low is 27 ºF (-3 ºC). This is of course in Iceland’s capital, Reykjavik. Because this city is on the southwest coast of the island, it’s going to be warmer than other places, such as Akureyri in the north. Given seasonal weather trends and location, the mercury reading on the thermometer can be higher or lower. Many people are surprised by Iceland’s winter temperatures. With the country’s icy name and northern latitude, most expect sub-zero temperatures with tundra-like conditions. It’s actually not much different than places like New York or Chicago. True, it’s certainly not bikini weather, but you won’t see Eskimos running around either. The warming waters of the Gulf Stream create a microclimate that makes the island not as cold as many would imagine. January is the wettest month in Iceland, with 50 mm of rainfall on average. And because temperatures mostly hover around freezing, all of this precipitation translates into lots of snowfall. There are also plenty of other snowlike weather phenomena like hail and sleet. You’ll find lots of freshly fallen snow in Iceland if you come during the winter. It makes for picturesque landscapes and outdoor scenes blanketed in white. If you’re a skiing or snowboarding enthusiast, there’s lots of fresh powder in places like Dalvik, which is the ski capital of Iceland. On a related note, you’ll want to practice extreme caution while driving in Iceland in winter. 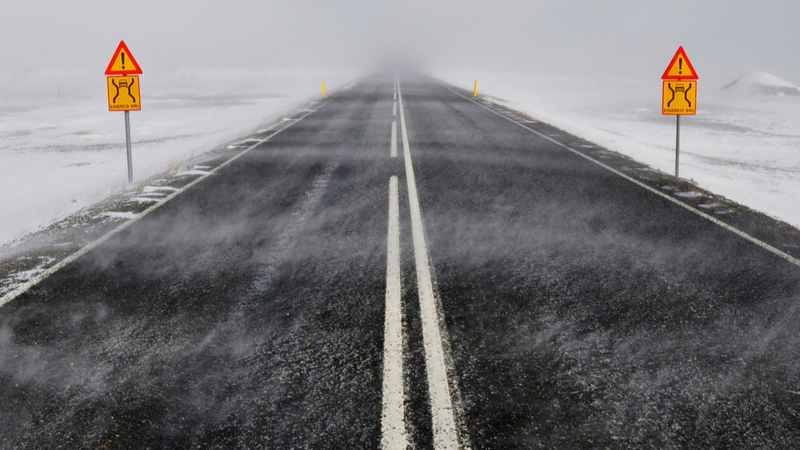 Slippery roads and black ice mean that overall you’ll be driving at lower speeds. Combined with low visibility, you’ll need to be extra careful. A good rule of thumb is to add an extra 15 minutes per hour of regular driving time when estimating how long it will take you to reach your destination. And of course, pay attention to storm warnings issued by the Icelandic Met Office. The last thing you want is to get caught in a snowstorm and be stranded. 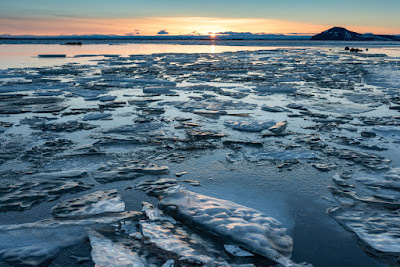 While the number of hours of daylight in Iceland is not directly linked to the weather, I do want to mention it because it’s extremely important. 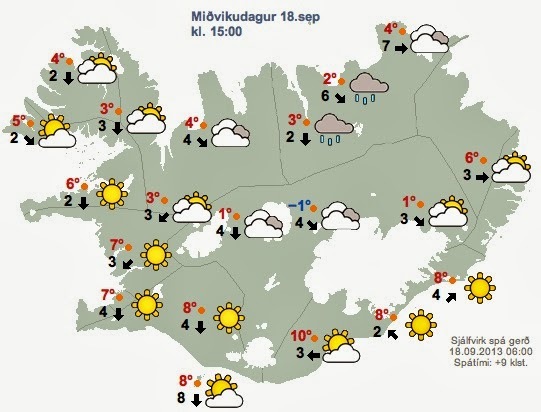 Iceland’s far northern location may not affect its temperature very much, but it certainly affects daylight. In January, the small Nordic island receives only four and a half hours of light at the beginning of the month. By the end of January, this increases to almost seven hours. If you’re planning winter activities like glacier hikes or ice cave exploration, you’ll want to be sure you can fit it all in. Time your driving and your excursions around when the sun rises and sets, especially if you don’t like being behind the wheel at night or in the dark. And remember, the Northern Lights are visible in Iceland during this time, so you’ll have plenty of hours of darkness to enjoy them. I can’t write an article about Iceland weather in January without mentioning how to protect yourself from the elements. I can’t stress the importance of packing the right clothing in your suitcase. Having the right types of layers using the right kinds of material can make or break your trip. Bone-chilling, damp cold is very real in Iceland, so stay warm and toasty by following the four-layer rule for winter dressing. Create a base layer that traps body heat by starting off with merino wool or a similar fabric. Add another warming layer on top that; materials like fleece or another layer of wool clothing are perfect for this. Pants, hats, long-sleeved shirts, and even socks need to keep your body cosy amid sub-Arctic elements. Next, add an insulating layer to really turn up the heat. Lastly, a windproof, waterproof shell layer will keep rain, snow, and freezing gusts of wind out. Think of your clothing as armor in your winter weather arsenal. You may even want to consider a balaclava to protect your face. And even though it’s cold, remember to pack sunscreen. Sunny days and the reflection of light rays off the snow can give you a sunburn, no matter the temperature. 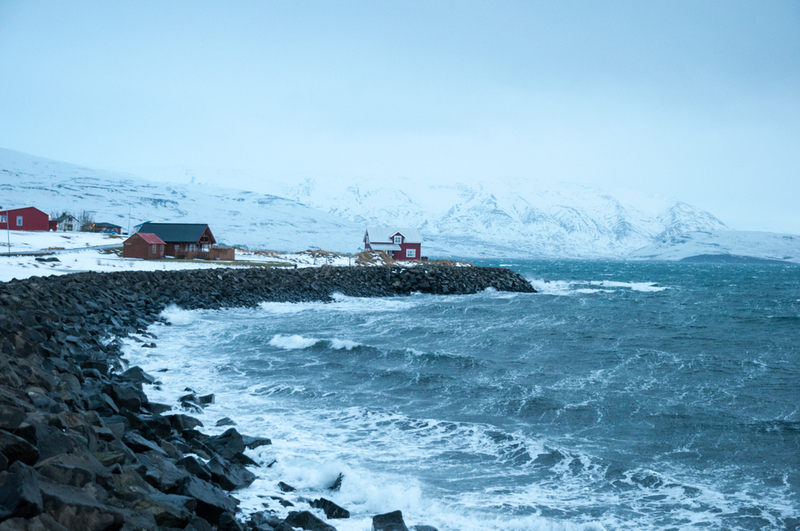 Iceland’s winter weather is not for the faint of heart. You definitely want to be prepared for Iceland in January. You’ll have a great time as this is one of the best times of year to visit. There are fewer tourists, everything is cheaper, and there is a plethora of winter activities. Go to magical places like Gullfoss, where you can see the frozen waterfall in suspended animation. And with plenty of hours of darkness, take advantage of indoor activities like happy hour and café culture. Enjoy your wintertime vacation! When traveling along Iceland’s South Coast, one of the most common stop-off points for an overnight stay is Vík. The quaint fishing village and its black sand beaches are located the perfect distance between the capital of Reykjavik and Jökulsárlón glacier lagoon in Vatnajökull National Park. The area around Vík itself is quite lovely. Reynisfjara features some of Iceland’s best midnight-hued sand, and the hexagonal black basalt columns found on its shores are not to be missed. So where can you go to grab a bite to eat when staying in this area of Iceland? Let’s take a look at Vik’s best restaurants and see where to get some delicious Icelandic cuisine. We might even find some tasty drops at a microbrewery. This restaurant is one of the most popular dining options in Vik, and for good reason. The smoked Arctic Char and deep fried Camembert with red currant jelly are cooked to perfection. The rustic setting and cozy ambiance make for one of the more memorable meals you’ll enjoy during your trip. And to top it all off, they’ve got gluten-free and vegan options for the diners in your group with special dietary needs. If you come here, you’ll enjoy some of the best local food in Vik. I highly recommend booking in advance. This locally owned and operated restaurant is run by a group of friends bonded by their love of cooking and hospitality. They decided to open an establishment back in 2000 and haven’t looked back since. You’ll feel right at home as you enter this simple yet welcoming locale. It’s a popular option for lunch or dinner. The cured lamb is outstanding as is the pan-fried arctic char. Another nice touch is the wall art, created by local artist G. Svana Sigurjónsdóttir. She created each piece of the restaurant's decor using wax crayons and a technique that employs a common household iron. All work is 100% original and available for purchase. Strondin makes a great spot for grabbing lunch during a busy day of touring. 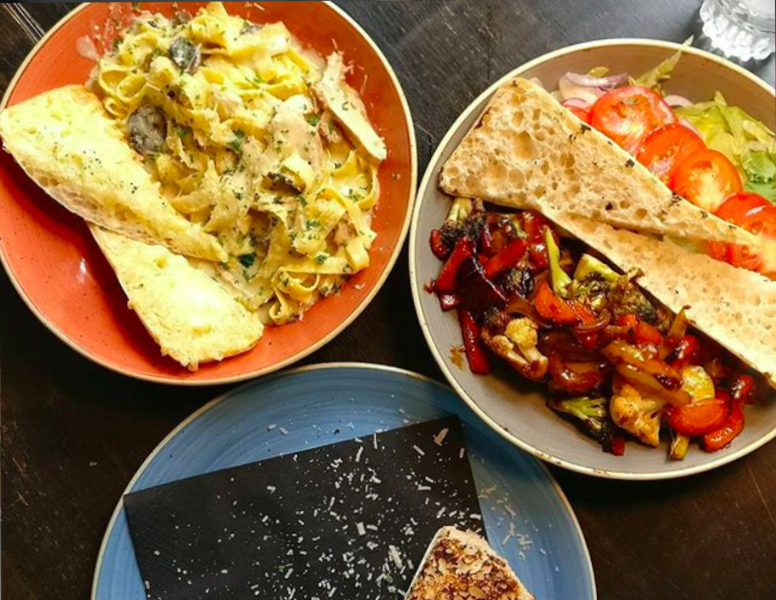 You’ll have a selection of traditional Icelandic dishes that range from hot, hearty lamb goulash and marinated lamb bursting with flavor to warming and filling cod stew. A word to the wise: while most people picture chunks of fish in a creamy sauce when you mention any kind of fish stew, the cod dish here is a little different. It’s actually more of a purée than a traditional stew. That being said, it’s absolutely delicious and definitely warrants a try. The portion sizes are good here, and prices are on par with the rest of Iceland. Fresh, local ingredients make this a practical and pleasant dining option. Víkurskáli is an excellent choice for those looking for quick, casual, homemade food. The cafe and restaurant offer a standard menu and like many places in Iceland, free refills on soup. They’ve got an excellent veggie burger, and Víkurskáli is also a great option if you’re traveling with kids. It’s cafeteria-style dining offering a good value. Don’t be put off by its location next to a gas station or its appearance. This is a good place for something that hits the spot. 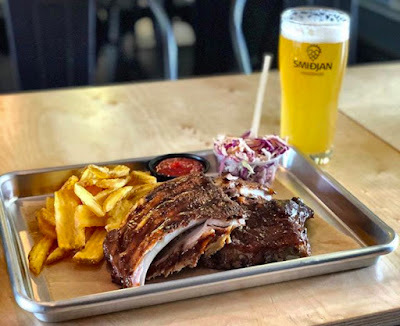 Not only is this a great place to stop for a beer, but you can also find some pretty good pub grub at this microbrewery. Everyone raves about the hamburgers, and they even have a pretty tasty vegetarian burger. They have ten Icelandic craft beers on tap to quench your taste buds. I also hear the peanut butter & chocolate porter mousse dessert is to die for. Come to the brewhouse for the drinks and stay for the food. While I can’t say avoid these places 100%, I think it’s better to choose one of the above options instead. 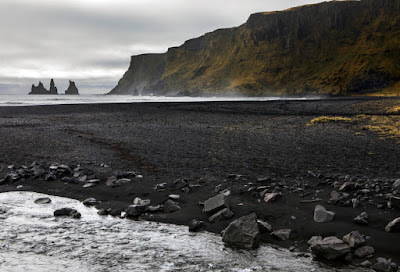 As with most tourist attractions, both Black Beach Restaurant at Reynisfjara beach and Ice Cave Restaurant roadside café will feel rushed and crowded. These are where the tour buses drop off many of their passengers to eat, so they will often feel more like a pit stop than a dining experience. If you’re pressed for time and absolutely starving, then one of these will do. Just be forewarned that these places get lots of complaints about the service (or lack thereof). If you’re staying in Vík and have the time to go somewhere nice, definitely try out one the previously mentioned recommendations. Dining in Iceland can be a wonderful, although pricey, proposition. A restaurant on the island received its first Michelin-star back in 2017, and there are tons of great places to choose from. 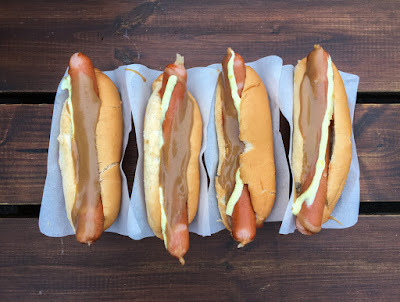 You’ve got lots of fantastic options for sampling a selection of Icelandic food while traveling in Vík, so make sure to try something Nordic and uniquely Scandinavian while here. Let us know your favorite places to eat in Vík. 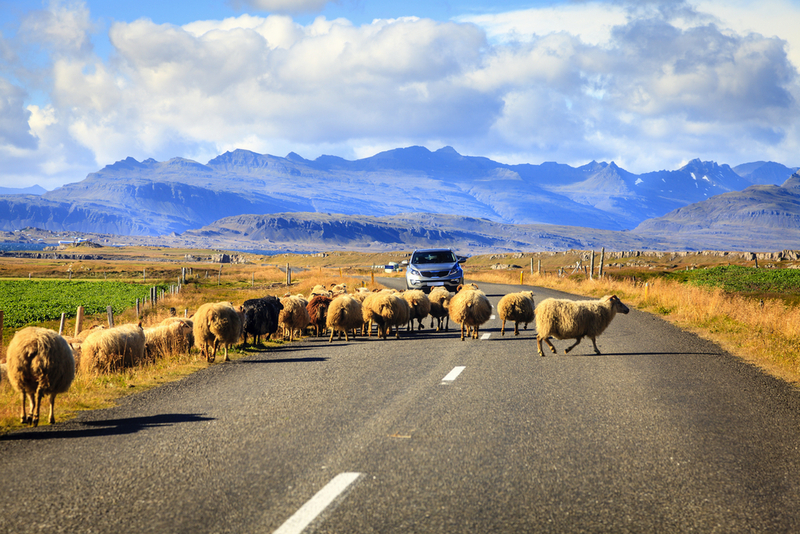 A trip around Iceland’s Ring Road is unlike anything else you will experience. The stunning landscapes and unique scenery are out of this world. Iceland is a wild, rugged, unpredictable place, and things will be different than what you’re used to. I’d like to cover my top nine tips and advice for travelers visiting this remarkable island for the first time. The last thing I want is for you to be caught off guard by a rogue sheep or overpay for alcohol. 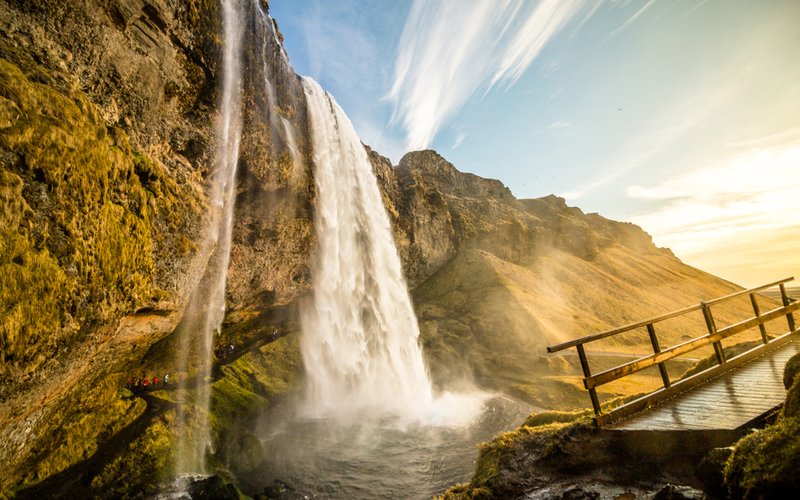 Focus instead on cool activities like glacier hikes in Skaftafell or standing in awe at the foot of Seljalandsfoss waterfall. So to prepare you and hopefully avoid any nasty surprises, here are my top things to know when taking an Iceland road trip. No, seriously. Our adorably fluffy little friends never quite got the memo that darting out into the road is dangerous, especially when cars are around. A more passive form of protest is when they organize collectively and decide to block the road en masse. 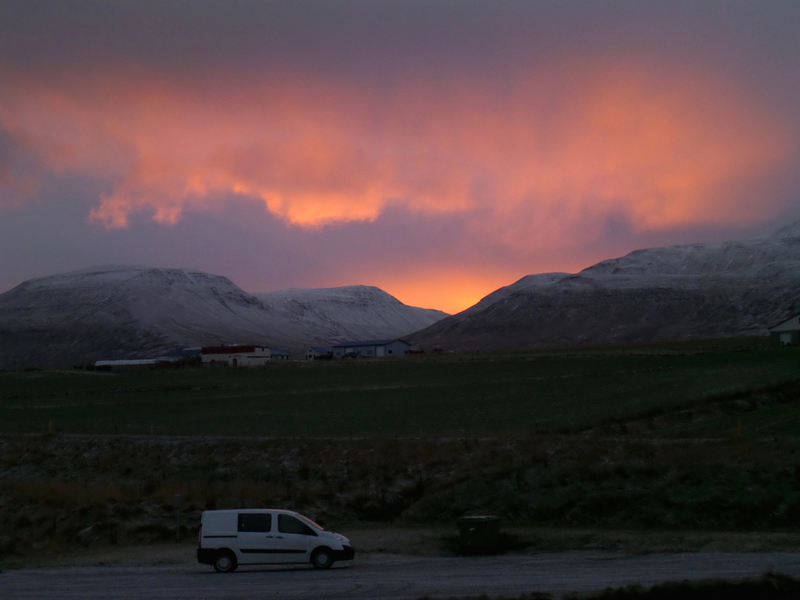 Be very careful when driving in Iceland, especially at night. Stay alert and keep your eyes on the road. I’m not exaggerating when I say that people have been seriously injured and even died due to car accidents with sheep. Speaking of collisions with animals, there’s something else you should know about Iceland. It’s not just the livestock that is conspiring to get you. Sandstorms, ash storms, hail storms, snowstorms, high winds, and other natural hazards are simply par for the course when driving around Iceland’s Ring Road. Did you know your windshield can be damaged by icy gravel flung at you from the speeding tires of an oncoming car? Don’t even get me started on black ice and the havoc it can wreak. Protect your rental vehicle from the road (and other drivers) by getting the full insurance suite of Gravel Protection, Sand and Ash Protection, and Super Collision Damage Waiver. In most places, it’s considered an upsell, and rightfully so. But in Iceland, it’s a necessity. Sound crazy? Just remember this: some parts of Iceland are very remote. Like Mordor remote. 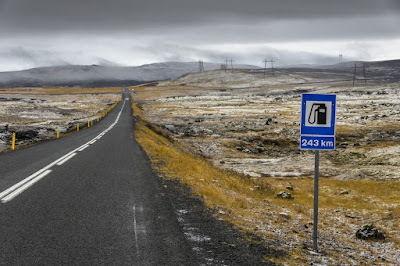 So while it’s easy to find gas stations in more populated areas like Reykjavik, when you’re driving somewhere like the Westfjords, maybe not so much. A good rule of thumb when driving in Iceland is to fill up your tank early and fill it up often. You never want that dreaded feeling of seeing the fuel indicator inch toward the red zone and not knowing if you’ll make it to the next gas station before hitting E.
File this one under “Wait, really?!”. Yes my friend, really. Many a car door in Iceland has been blown backward or taken clear off its hinges due to powerful winds. Unfortunately, insurance doesn’t cover this one. What’s wrong with those guys, right? It’s just a little car door repair. You’ll have to take matters into your own hands here, literally. If you absolutely must get out of the car in high winds, grab the door firmly with both hands and hold it steady the whole time. And even if it’s not that windy, never leave your door ajar. A strong, sudden gust can come along and catch you and your poor, unsuspecting door off guard. Something that might catch you by surprise (other than the wind) is the number of campers you see on the road here. I’m going to let you in on a little secret: Those people know just how cheap it is to travel around Iceland by campervan. Not only do you save money on extremely expensive hotel rooms each night, but you also have a portable kitchen with you at all times. Being able to cook your own food is a huge benefit while traveling in Iceland. The money you spend on accommodation and eating out while here will take huge bites out of your budget. Kill two overpriced birds with one stone and enjoy the freedom and flexibility of renting a campervan. Make sure you’ve got a good Webasto heater to keep you warm at night, and you’re all set. On a related note, I recommend buying as many groceries as possible at one of Reykjavik’s discount supermarkets like Bonus or Netto. They have them in some larger towns, but it's easier to do all of your shopping before heading out of the capital. Don't leave things to chance. Who doesn’t love saving a little money? As my dad likes to say when something is free, “Well, the price is right!”. Not only is autumn one of the best times to go to Iceland because of nice weather and fewer crowds, but you also get tons of discounts on stuff. Oh yeah! Everything from car rental to accommodation costs less. And if you go later in the fall, some of the campsites are officially closed, but leave their gates open. Some travelers have reported going in October or November and staying at campsites for free. 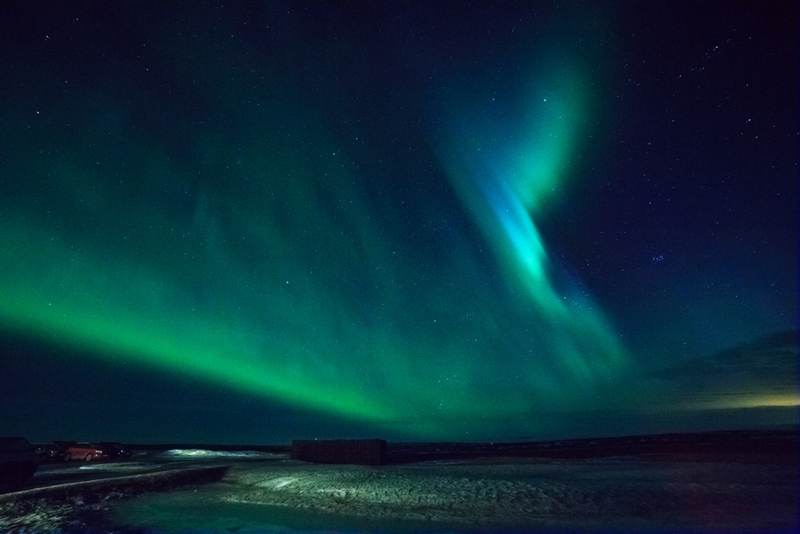 Another bonus of going in the fall: the spectacular Aurora Borealis. It’s not visible in the summer. As you sit back and enjoy the gorgeous natural light snow in the sky, you can sit back and bask in how much money you saved today. If you are of the beer and wine drinking persuasion, I’m going to give you a little tip. Never, ever pay full price for a drink at a bar in Iceland. Unless of course you want to blow your entire food budget for the week during your first night out in Reykjavik. 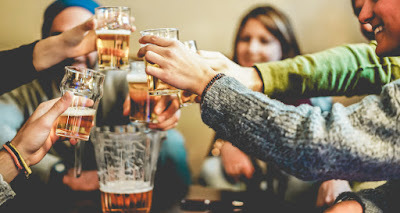 With beers starting at $10 a pop and wine at $12, it’s easy to see why most Icelanders pre-game and drink at home before heading out for the night. So what’s the secret to combatting Iceland’s high taxes on alcohol? Load up at duty-free in the airport, where prices are around 30% lower than what you’ll find out and about. You can also find one of the state-owned Vindbudin liquor stores and stock up. Note that they have limited opening hours and are closed on Sundays. People tend to assume that Iceland is, well, icy. While we do have our fair share of snowfall, our little Nordic island is actually quite wet and windy as well. You’ll want to keep the chill out by investing in warm, moisture-wicking underlayers like merino wool and insulating fleece. Top it all of with waterproof hiking boots, waterproof pants, and high-quality rain jacket. The only thing worse than being wet is being cold and wet. Iceland’s massive amounts of precipitation give you ample opportunity to be both, so be smarter than the weather and come prepared. This also goes for bringing waterproof covering to protect devices like your camera and cell phone. This last bit of info is twofold. First, if you plan driving inland, in the mountains, or in any part of the Highlands, know that they are only open in the summer months. Melting ice and dangerous road conditions make these parts of the country impassable most of the year. If you have your heart set on hiking Landmannalaugar and the Laugavegur trail, it will have to be when it’s warm outside. 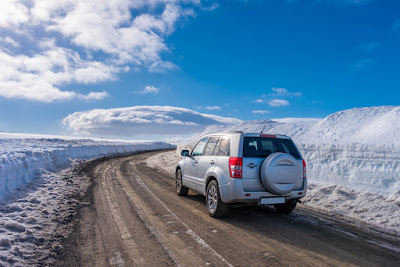 Second, if you want to drive on mountain roads (F-roads), you need to rent a 4x4 vehicle. I’m not saying this because I think it’s a good idea; it’s actually the law in Iceland. If you plan on only driving the Ring Road, you’re fine. But if you plan on going elsewhere, make sure the roads you want to use are accessible. 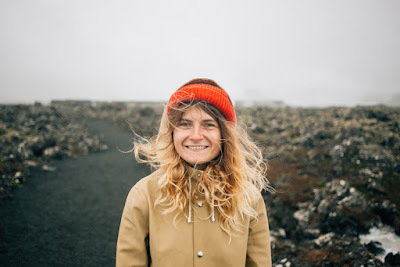 I hope these tips are helpful if you're a first-timer in Iceland! Let me know if there's anything you would add to the list. Iceland is great, but you need to know what to expect before you go. When coming to Iceland, it's more than likely that you're going to spend some time in Reykjavik. The country's capital is usually the first and last place people stop during their vacation. It's normal to do a little bit of sightseeing, shopping, and taking part in the city's legendary nightlife. 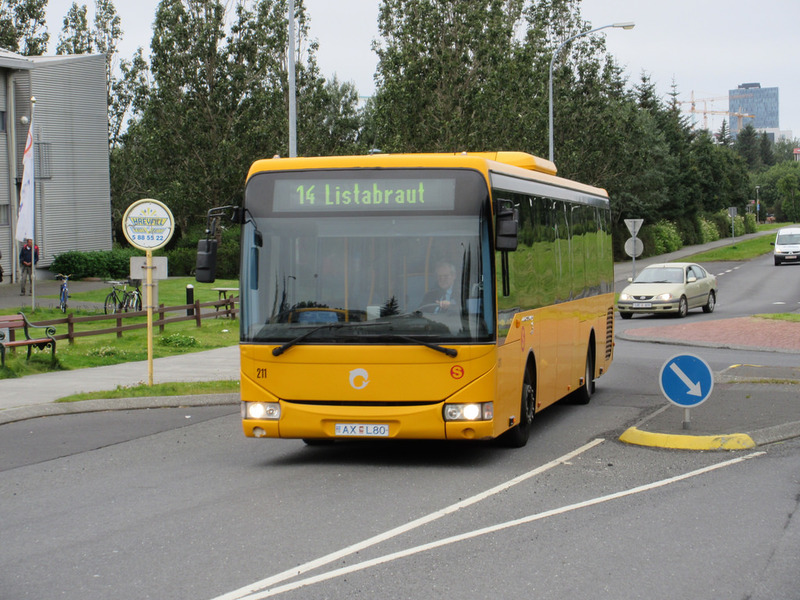 But what's the best way to get around Reykjavik? Can you call an Uber or is it just best to walk? There are quite a few different modes of transport, and you can use some or a combination of all of them. Walking is definitely the best way to see Reykjavik. The city center is compact enough that you can walk to most sights in 10 or 15 minutes. To reach things that are farther away, you'll need 20 or 30. It's quite easy to get around and is also good exercise. 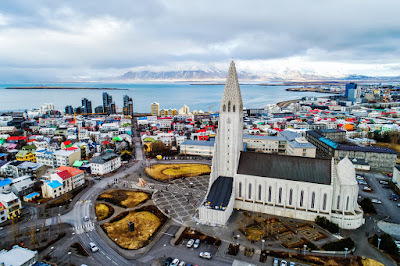 Hallgrímskirkja church is located in the heart of downtown, and the Whale Museum, Harpa Concert Hall, the Sun Voyager Statue, Hlemmur Food Hall, the Settlement Exhibition, Perlan Observatory, Laugavegur Street, and much more are all within walking distance. Plus you’ll find quirky, interesting surprises around every corner. See how many different colors and shades you can name with the painted wooden houses around town. If walking is a little too slow for you, why not participate in the city's bike sharing program? 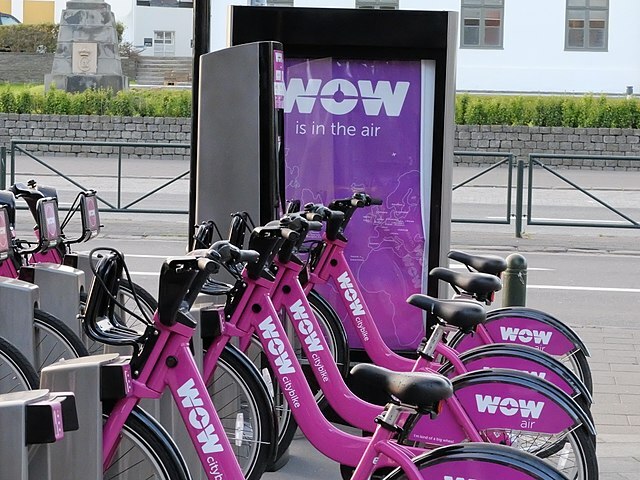 Reykjavik welcomed WOW citybike in June of 2017, and the environmentally-friendly initiative has steadily grown in popularity since then. Both locals and tourists alike take advantage of the easy-to-use system. With eight bike docking stations scattered all over the city, it’s easy to rent, ride, and return one of their signature purple bikes. Each ride is only 350 ISK ($2.85 or 2,51€) for 30 minutes. If you’d like to extend your time on the bike, it’s 500 ISK ($4.07 or 3,59€) for each additional 30 minutes. Learn more about the program on their website here and view a station map here. You can sign up online, obtain a passcode at one of the bike station kiosks, or use the transit app to rent your bike. Another great way to get from point A to point B in Reykjavik is by using the city bus. With a ticket costing 460 ISK ($3.74 or 3,30€), public transport is an easy, affordable way to travel around the city center. For those days when it’s just too cold to walk, check out the website for Strætó, the city’s transportation system. You can see bus stops, timetables, and even their handy route planner. While the taxis themselves are just fine, they are an incredibly expensive method of transport. It just doesn't make sense to take a taxi in Reykjavik when you have so many other options available. Think of taxis as a last resort. Ride-sharing companies like Uber and Lyft have not yet arrived in Iceland, so if you're looking for some sort of private vehicle, then taxis are your best bet. Whether you decide to go by foot, bike, taxi, or bus, you’re sure to have a great time in Reykjavik. It's a small, walkable city with a lot of charm and they all enjoy discovering it no matter what method of transport you choose. Let us know your preferred way of getting around Reykjavik. Iceland is a Scandinavian country, and as such, things can get costly. 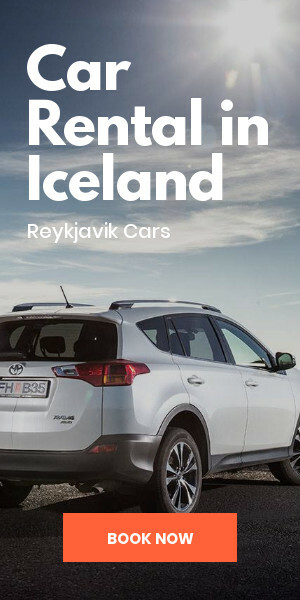 But just how expensive is Iceland? To give you an idea, Iceland ranked as the world's third most expensive country after Switzerland and Bermuda. This puts it ahead of other notoriously pricey countries like Norway and Denmark. Granted, these lists and rankings are related to cost of living. 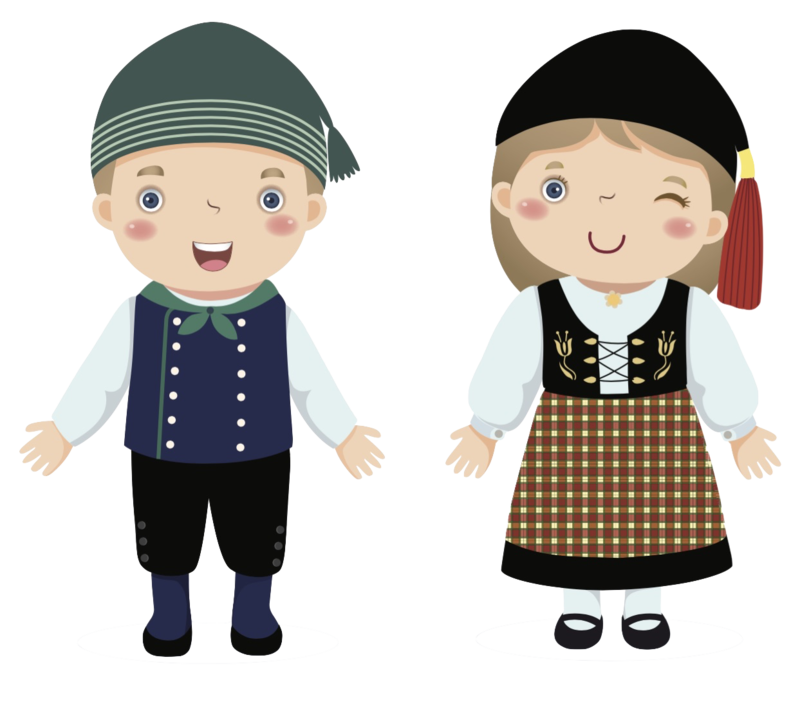 But the prices that locals pay have a direct effect on everything you buy during your trip from hotel accommodation to a nice meal at a restaurant to a cup of coffee at your local café or bakery even a loaf of bread at Bónus discount supermarket. Let's look at how much everyday items and the travel staples cost when visiting Iceland. 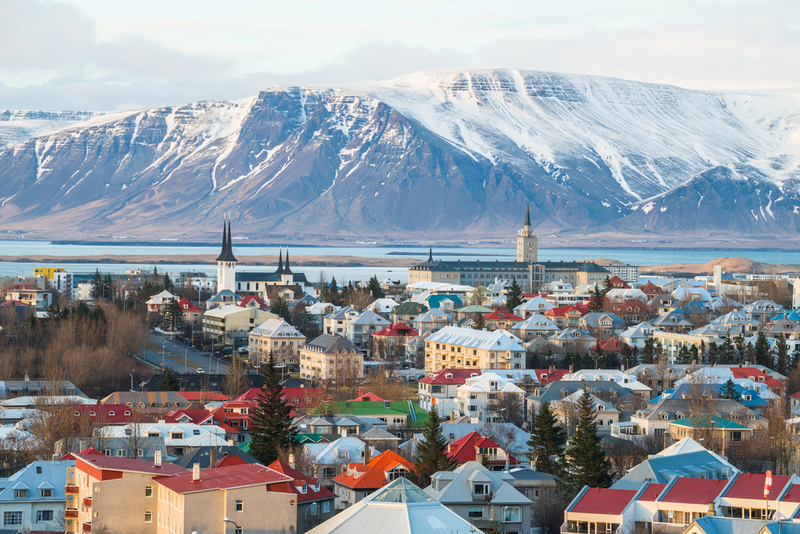 If you think New York or London are expensive, get ready for Reykjavik. 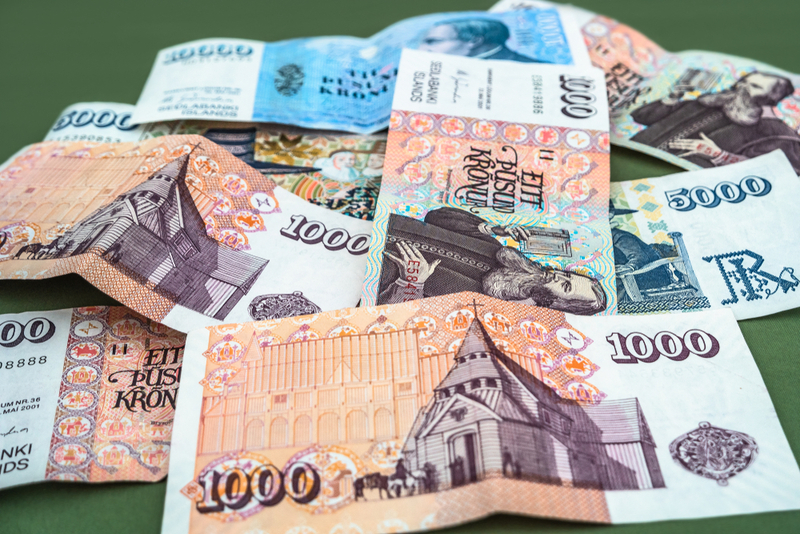 Don't worry; we've also got some tips and tricks for saving money in Iceland. If you're looking to get a baseline of how much things cost in Reykjavik let's look at some everyday items as well as basics for travelers. One of the things that will cost you the most money while traveling in Iceland is food. If you choose to forgo making your own meals, be prepared to cough up some serious bucks. Even at the least expensive establishments, burgers, small pizzas, and even sandwiches will cost around $15-22 (13-19€). Larger, more traditional meals like roasted lamb or chicken plus a side and a salad will run you $25-40 minimum. (22-35€). Reykjavik has quite a few fine dining options, so be prepared to pay even more if you eat at one of them. Dill restaurant Michelin star and features five-course and seven-course meals with or without wine pairings. Soda, coffee, tea, and bottled water cost around $3-5 (2-4€) at restaurants. Alcohol in Iceland is extremely expensive. The high taxes make consuming adult beverages quite costly. Just to get a beer it's $10 (8,80€). During happy hour, it's a little more than half this. The cost of wine is even steeper at $12 (10,50€) a glass. You can save a little bit of money by stocking up on wine at the store and getting a bottle for $20 (17,62€). If you want to order a bottle of wine at a restaurant, you'll be forking over at least $30 (26€). Shots of hard liquor are around $8 (7€). Traveling in Iceland and staying at an establishment overnight will definitely cost you. During high season, a hotel in downtown Reykjavik is around $140-480 (123-423€) per night. A hostel during the same season in the same area is about $35-85 (30-75€) per night. Lastly, if you prefer guesthouses and Airbnb, these types of accommodation will set you back $114-185 (95-149€) per night. How Can I Save Money in Iceland? There are lots of different ways to save money while traveling in Iceland. We've already mentioned some ways above, such as cooking your own food or taking advantage of happy hour at bars. Another way to save money is Iceland is to rent a campervan rather than renting a car and staying in hotels. You already have to rent a vehicle anyway so why not combine it with your accommodation and have a moving house on wheels. Plus, if you have an RV with a mini kitchen or at least a hot plate, you can bring your own coffee and tea and save money that way. You can also take advantage of Iceland's love of hot dogs. They're cheap, delicious, and located all over the country. Another money-saving trick is to do free activities. While the more well-known attractions have an entrance fee, there are many that do not. 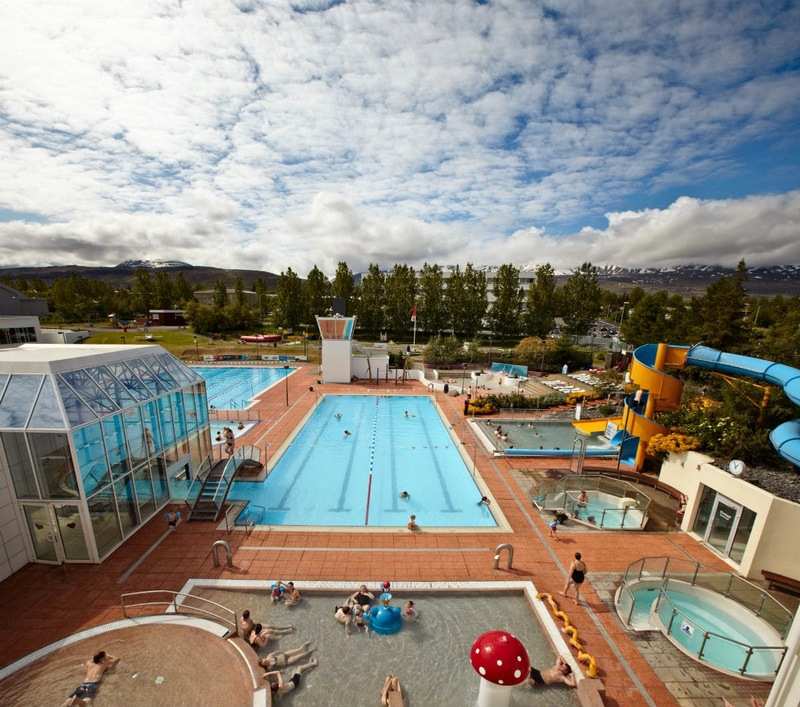 For example, instead of paying to go to the Blue Lagoon you can look up some of the hundreds of other hot pots and swimming pools in Iceland on hotpoticeland.com that are free or low cost. There are also tons of museums and other exhibitions that do not charge for entry. You're paying more for everything, from groceries to transportation to gas for your car, so why not look for little ways to save? Cutting small corners here and there adds up to big savings in the end. It is really expensive in Iceland, but that doesn't mean it's completely unaffordable. There are lots of ways to save money. Be on the lookout for flight deals and other discounts. Traveling during the off-season is another great way to see Iceland without breaking the bank. Don’t let budget constraints stop you from coming here and having the adventure of a lifetime. I'll just come right out and say it. Iceland can be very windy. I say “can” because windiness is a relative term depending on what you're used to. The gusts you'll find on this small, Nordic island are significantly stronger than your run-of-the-mill gentle breeze. Would it be an exaggeration to say that the wind in Iceland can knock you down? Definitely not. But thankfully it's not that powerful all the time. Extreme weather conditions and potent storms will definitely cause wind conditions to pick up. So just how windy is it in Iceland? And how do you deal with the extreme weather that you encounter? Is it safe for tent camping? And what about the average wind speeds? We'll get into these questions and more as we dive into Iceland's climate, weather, and the wind. When most tourists travel to Iceland, they expect it to be really cold. The country's name has the word “ice” in it after all. But what catches many first-time visitors off guard is the wind. Most just aren't expecting it. Everyone knows the weather here is a bit crazy. And in addition to experiencing rain, snow, sleet, and sunshine all in the same day, you might also have to deal with some pretty high winds. While windiness can vary from place to place and season to season, let's take a look at Reykjavik to see some wind forecasts. On a day with little to no wind, gusts will be around 10-15 mph (16-24 km/h). When the winds are blowing really strongly, they've been known to reach 32 mph (52 km/h) on some days. If you think that's rough, you haven't seen anything yet. While most people associate hurricanes with more tropical climes, I can assure you that Iceland has its fair share of gale force winds. Back in 2015, Iceland experienced a terrible winter storm near Vík with winds up to 160 mph (258 km/h). That's equivalent to a Category 5 hurricane on the Saffir–Simpson scale. While it is rare to have winds this strong, you should never underestimate weather conditions in Iceland, especially during a storm. When Icelanders tell you that it's going to be really windy, believe them. They've grown up in this climate, and they're very familiar with the weather. They also know the dangers of driving In high winds, and if they tell you to stay off the road, it's definitely for your own good. Tourists who have chosen not to heed their warnings have ended up blown off the road. It's better to be safe than sorry, so always use the tools at your disposal when driving in Iceland’s wind. Check the wind speed forecast before you embark upon your journey. There are also electric boards on the road the display temperature and wind speed. Pay attention to these and use good sense. If for some reason you find yourself caught in a windstorm, have the good sense to pull over and wait until it passes. This is especially true for smaller vehicles that can be easily blown around by powerful winds. 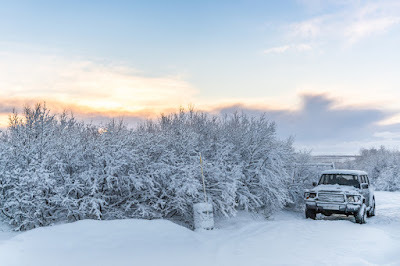 Two of my favorite resources for tracking the weather in Iceland are the Icelandic Meteorological Office and the Road and Coastal Administration. They both issue advisories and severe weather warnings. Windfinder.com is also a useful tool. Is Camping in Iceland a Good Idea Given How Windy it is? We've had some of our blog readers ask if it's possible to go tent camping in Iceland in spite of the wind. It is, that comes with a few caveats. I recommend coming in the summer because the weather is less harsh. I also recommend having a backup plan like sleeping in your car or campervan. Lastly, be sure to arrive at the campsite with plenty of daylight to set up your tent. If the wind gets really strong, you want to have tents that are well secured by having tent stakes driven deep into the ground. I also always tell people to pitch their tent against some sort of vertical surface. A tree, a hill, or even a large bush or hedge can act as a natural wind barrier. If you come to Iceland for vacation, you need to be prepared to face the wind. While not every day is like battling a hurricane, even during the mildest days there are still some strong breezes blowing. Bring a high-quality windbreaker and maybe even a balaclava to protect your face from being lashed by high winds. And don't say I didn't warn you. It's the last day of our week-long trip to South Iceland. Can you believe it? After exploring the wonders of the South Coast such as Seljalandsfoss, Vík, Jökulsárlón, and Vatnajökull, we made our way back to Reykjavik. Yesterday saw a visit to Iceland famous Blue Lagoon geothermal spa. Today it's time to finish it off with a trip around the Golden Circle route. This is one of the cooler sightseeing circuits in Iceland, and you're sure to enjoy it. From the mighty Gullfoss waterfall to the churning, bubbling, heated geysers at Strokkur and Geysir to the historically and geologically significant Thingvellir National Park, some of the country’s finest natural wonders are on full display. Taking a day trip from Reykjavik to the Golden Circle is the perfect way to end your 7-day South Iceland itinerary. 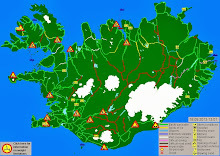 The 190-mile (300-km) route loops around from Reykjavik close to the southwestern part of the Highlands. You can actually go either clockwise or counterclockwise around the Golden Circle. There are also other stops along the way besides just “The Big Three”. 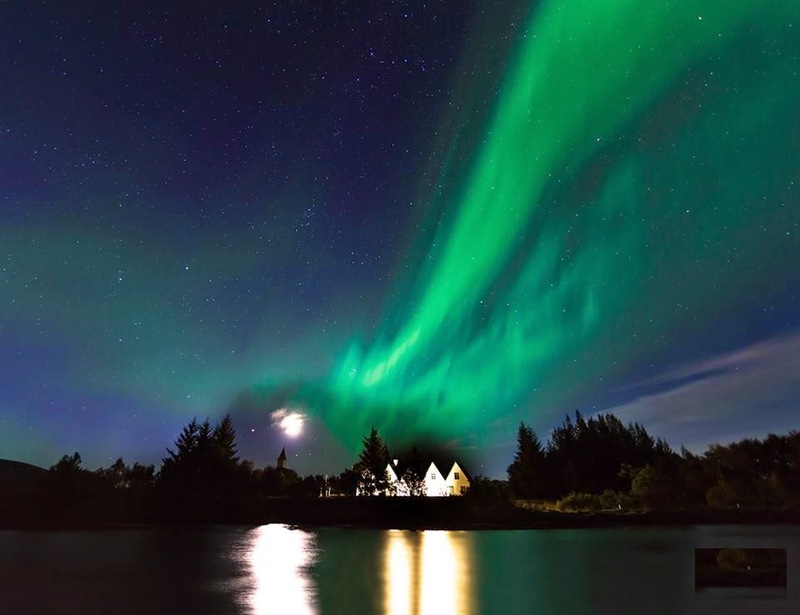 Some other attractions along the Golden Circle route include Thingvallakirkja church, the Secret Lagoon, Efstidalur farm, Sólheimar Eco Village, Langjökull glacier, Slakki zoo, the Kerið volcanic crater, the Drumbó river, the Skálholt cathedral, and many more. Let's travel clockwise around the route. This national park is both a UNESCO World Heritage Site as well as a major part of the country’s Viking past and political present. It was here that the world's first parliament, Iceland’s Althing, congregated over a thousand years ago in 930 AD. Back when the island was ruled by clans, the most powerful chieftains and tribesmen gathered here to make decisions using this early form of government. It continues to this day, and Iceland’s Parliament is now based in Reykjavik. 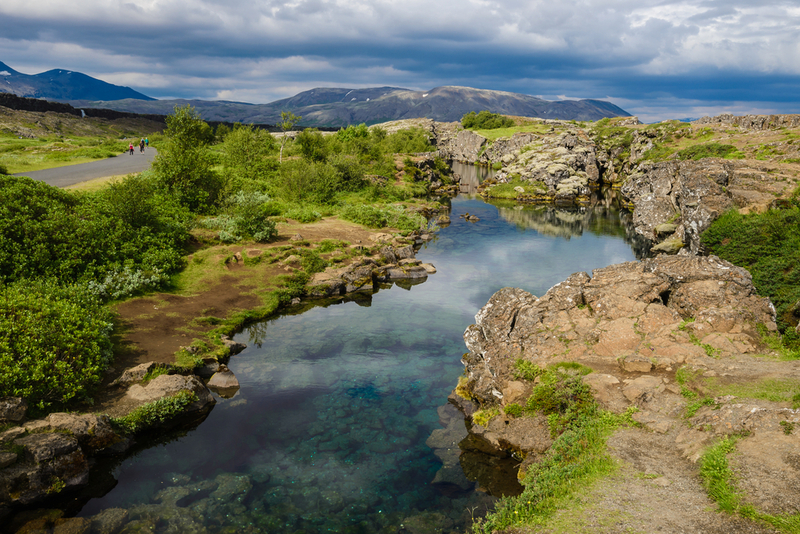 Another must-see in Thingvellir National Park is the Silfra Fissure. Iceland has the unique distinction of sitting right on top of the meeting point of the North American and Eurasian tectonic plates. Not only does this make the island a volcanic hotspot, but it also means you can see a split in the Earth's crust if you come here. Iceland is literally breaking into two halves, and you can see tectonic movement at Thingvellir. Parts of the gash in the Earth have even split so wide open that you can scuba dive in the frigid, turquoise waters that fill the fissure. Iceland is known as the Land of Fire and Ice. Due to the previously mentioned location above two tectonic plates, the island was formed thanks to massive amounts of geological and volcanic activity. In fact, the island of Surtsey just off Iceland’s coast was formed in 1967. All these rumblings beneath the ground and the ocean floor eventually bubble their way up to the surface. One spectacular result is natural wonders like geothermal hot springs and exploding geysers. The Haukadalur geothermal area is home to not one, but two massive geysers. The bigger and more impressive one is called Geysir. 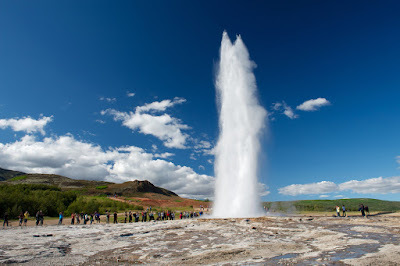 We actually get the English word “geyser” from this natural wonder. Unfortunately, the high-reaching column of water seems to have gone dormant as of late. Eruptions of "The Great Geysir" are few and far between, sometimes only happening a few times a year. If you're looking for a guaranteed show, head to Strokkur geyser. It's a much more reliable spout than Geysir and shoots water in the air every 10 minutes or so. When it erupts, it climbs to spectacular heights of up to 100 feet (30 meters). It's truly a spectacular sight to see. Just be careful to keep your distance. The water is boiling hot and can scald you. 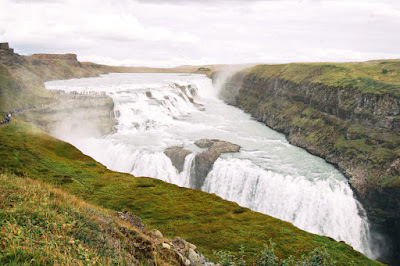 Last but not least is the gorgeous Gullfoss or “golden” waterfall. You'll find this waterfall and its double drop flowing into the waters of the Hvítá canyon and river. The falls received their name because on sunny days, they take on a special golden hue. During the summer, the lush green setting around Gullfoss is complemented by rainbows caused by the water’s spray. 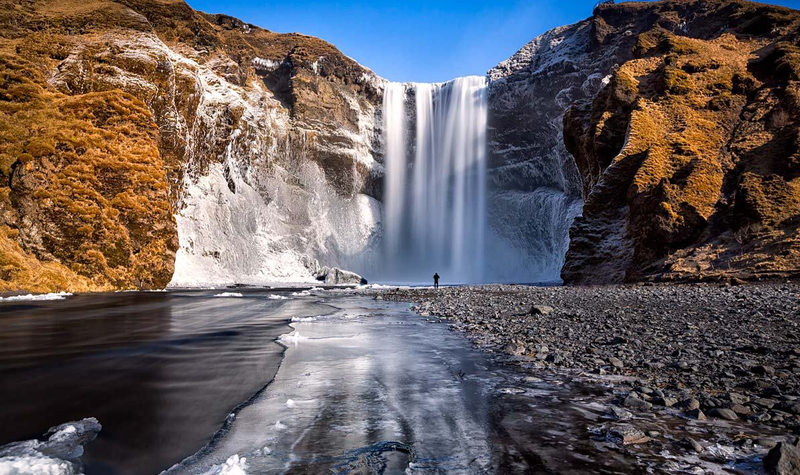 If you are lucky enough to find yourself in Iceland during the winter, you can also see it half frozen! Witnessing Gullfoss in suspended animation is quite the sight to behold. While visiting, be sure to stop by their cafe and restaurant to try their famous traditional meat soup. It will power you on your way or the return trip to Reykjavik. While the three primary stops on the Golden Circle route are outlined above, they’re not the whole story. It will actually take several hours to drive the full circuit, so why not make an entire day out of it and add in some extra stops? The Kerið volcanic crater and crater lake are a wonderful stop-off for those who don’t have the time to visit Askja and its caldera. The town of Hveragerði is the hot spring capital of the world, and the town of Skálholt features a beautiful white and grey Church of Iceland cathedral. Langjokull glacier near the top of the circle has snowmobile excursions. The Secret Lagoon, Sólheimar Eco Village, and Slakki zoo also make interesting stop off points. You did it! You’ve made your way around Iceland’s Golden Circle. Hopefully, every day on your 7-day Iceland itinerary was better than the last. You’re ready to fly back home tomorrow and who knows? 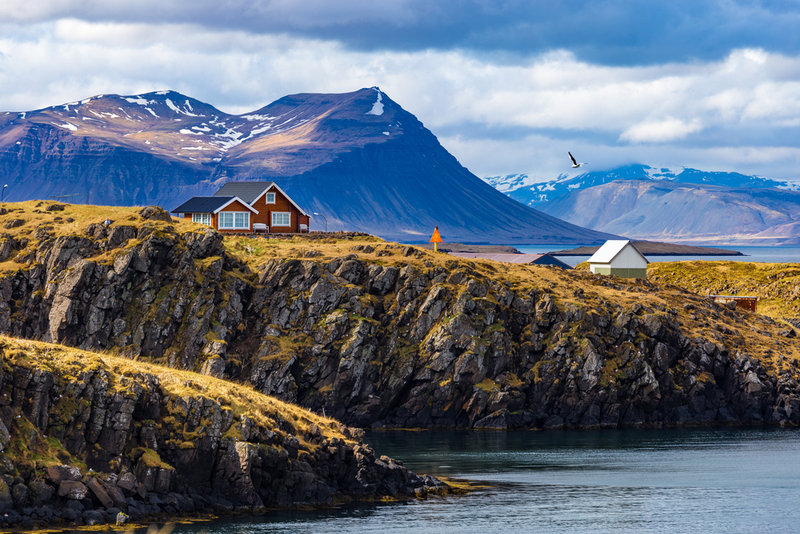 Maybe you’ll start craving more of this small, Nordic island as soon you land. Time to start planning your next trip to Iceland. When planning a trip to Iceland, one of the first questions you need to ask yourself is how many days do you need. Is a 5-day itinerary long enough? Or do you need at least a week? Some people come for even longer, spending ten days, fourteen days or up to a month traveling around the small Nordic island. To be perfectly honest, how much time you spend in Iceland depends entirely on what you want to see and do. Realistically, five days is too short to see the country's main sights. With a seven-day (or even 10-day) trip, you have a much better shot of seeing the most interesting parts of the country. Fourteen days is entirely doable from a time-off standpoint; you'll have time to visit pretty much everything. 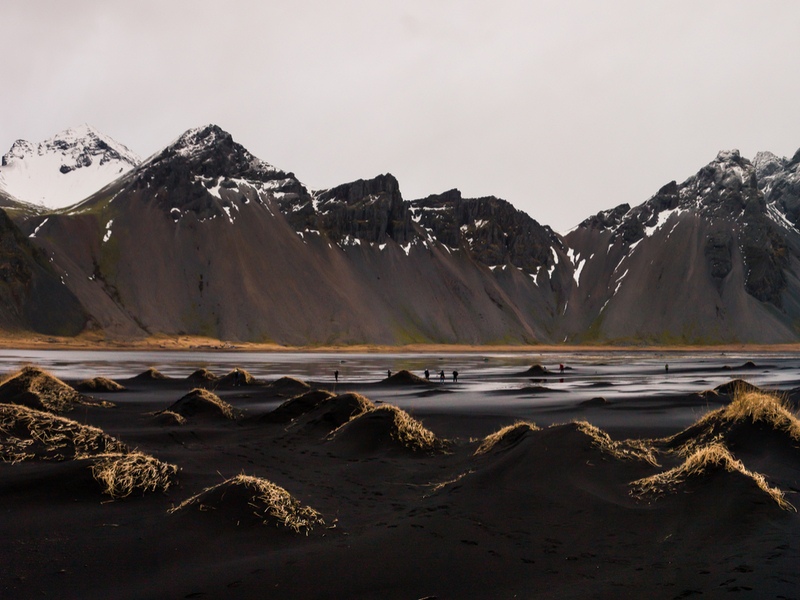 Let's look at what you can and can't do depending on the length of time you spend in Iceland. If you’ve only got five days in Iceland, you’d be hard-pressed to fit everything in. In fact, it's already going to be quite a sprint just to see the main sites and partake in some interesting activities. My best advice is don't try to see everything. Focus on one part of the country, like the South Coast or the Diamond Circle, and really explore that area in depth. Even with this in mind, you’ll still want to fit in multiple stops per day. 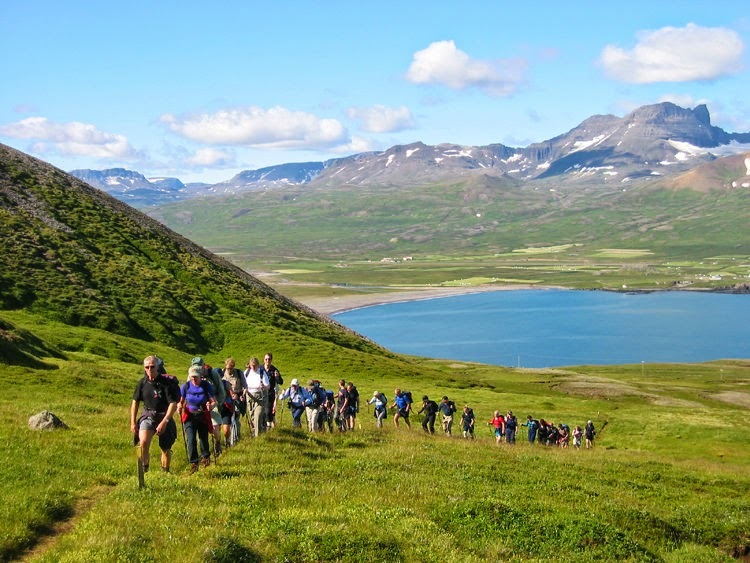 For example, give yourself a full day to explore the entire Golden Circle route. You'll be waking up early and arriving home later in the day. The same goes for making the two and a half hour drive between Reykjavik and Vik. 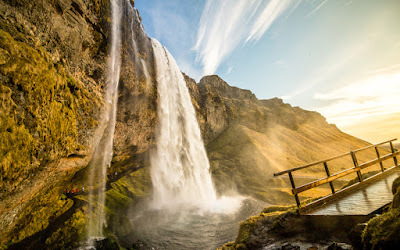 Leave time in between these two endpoints of your journey to make stops at Seljalandsfoss waterfall, Skógafoss waterfall, and the plane wreck at Sólheimasandur beach. If you're taking such a short trip to Iceland, I highly recommend coming in the summer. The neverending rays of the Midnight Sun will give you plenty of daylight hours. Use these to your advantage to fit in as much as you possibly can. 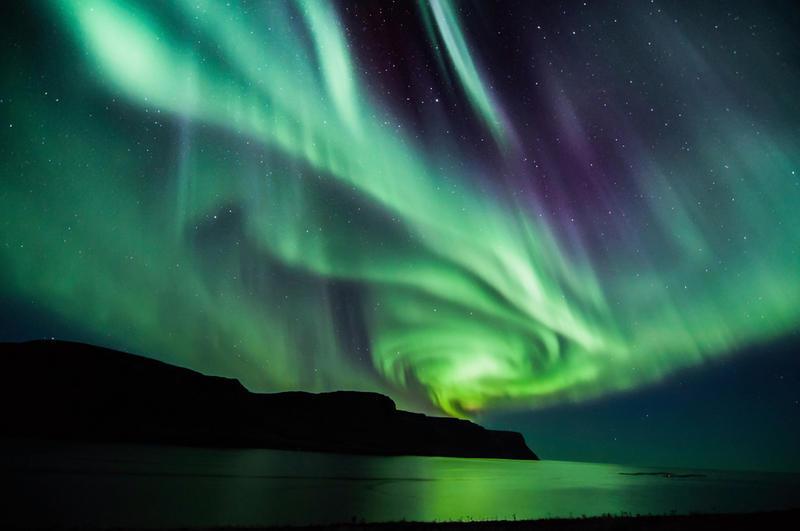 Spending seven days in Iceland gives you a little more freedom and flexibility. You can breathe a bit easier now and not be in such a rush. Here, you have a choice. You can either expand your South Iceland visit by adding stops in Reykjavik, the Blue Lagoon and the Golden Circle. Or you can fit these things into a condensed itinerary and adding other stops along the Ring Road. Seven days is definitely enough to drive all around the way the island, and you'll see a lot. But if you want to fit in the Diamond Circle and Snaefellsnes peninsula, you only really have a day or so in order to stay on schedule. If you plan on coming for seven days, I also recommend visiting in the summer. Not only will extended sunlight hours help you fit everything in, but you most likely won't be slowed down by inclement weather or unexpected snowstorms. If you've got ten days in Iceland, I definitely recommend taking the trip all the way around the country’s Ring Road. For me, this is the perfect amount of time to spend in Iceland. It provides the ideal balance between spending a good amount of time on the island (but not too long) and getting to see nearly everything. Here’s a list of the sights you should consider visiting. We wrote a post about planning the perfect Iceland road trip, so if any of these pique your interest, then read the article here. This is a quick list for your reference. It’s a lot to do in ten days, but these are just to give you an idea of some of the things to visit during your trip. Fourteen days is another ideal length of time to spend in Iceland. It gives you plenty of time to drive around the country's Ring Road. Not only that, but you'll be able to spend multiple days in places like the Diamond Circle and the Snaefellsnes peninsula. Both of these areas have plenty of things to see and do. It's quite easy to spend two or three days exploring each one. This is a trip that can be taken during most of the year. You’re not on a rushed schedule, so if you get delayed by bad winter weather, it’s not such a big deal. Spending a month in Iceland is every traveler's dream come true. You really get to explore the country in depth and who knows? Maybe you'll even be able to speak some Icelandic by the time you finish your trip. Or at the very least, be able to pronounce the tongue-twisting name of Eyjafjallajökull glacier. You’ll be able to visit the places listed above and more, appreciate the quaint little museums, fishing villages and small towns that Iceland is so famous for, and really get to know the people. As with most things, the answer to this question is...it depends. We’ve laid out some ideas and itinerary suggestions. Feel free to search the Iceland24 blog for more ideas. However much time you decide to spend in Iceland, it’s sure to be an unforgettable experience. Let us know if you have any questions or if you have any comments about the perfect length of time for the ideal Iceland holiday. After a week of traveling around Iceland and a night out in Reykjavik, you're going to need a day to rest. 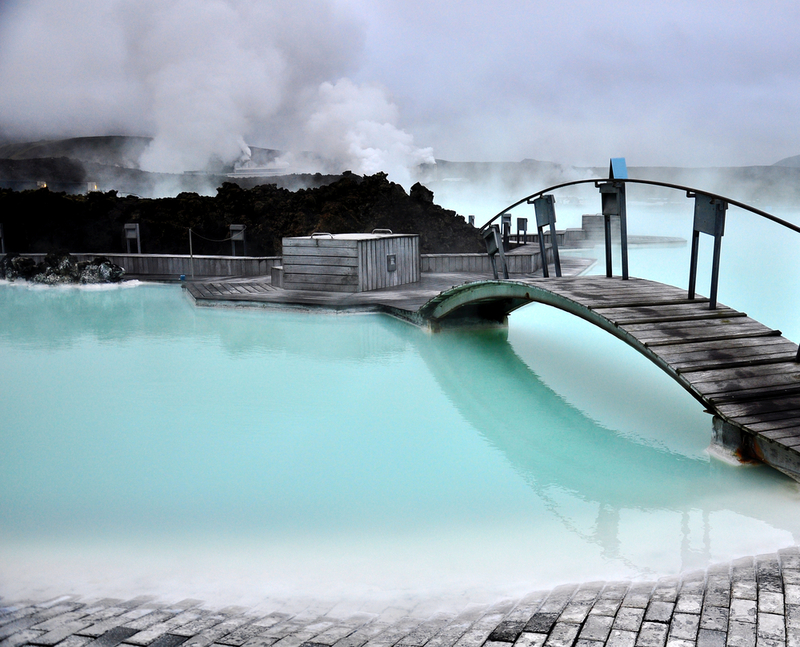 This is where Iceland’s world-famous geothermal day spa, the Blue Lagoon, comes into play. Let the lagoon’s healing, silica-infused waters wash over you as you soak up the healing elements. The misty turquoise blue water will slowly drain the tension away and leave you fully relaxed. Why not get a massage or other treatment during your time here? There's even a hotel on the premises. This is one of the most visited places in Iceland. Once you come, it’s easy to see why. 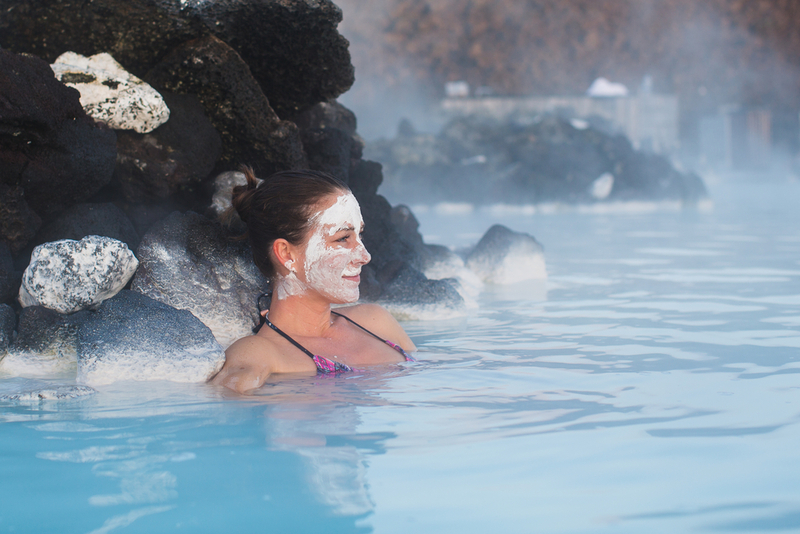 The Blue Lagoon spa is located very close to Keflavik International Airport. It’s about 13 km (8 miles) away and takes around 20 minutes to drive. If you are coming from the city center of Reykjavik, it’s a 39 km (24 miles) drive that will take you around 40 minutes. I highly recommend getting tickets in advance as this is a very popular tourist attraction. People queue up outside the Blue Lagoon, and the best way to bypass the line is to purchase your tickets online beforehand. The spa also encourages pre-booking, so if you find yourself traveling during high season, you may find it difficult to gain entry if you haven’t reserved a spot early enough. Here are some of the packages available. Comfort package: 49€ ($56) - This includes entrance to the Blue Lagoon, a silica mud mask, free use of a towel, and the first drink of your choice. Premium package: 69€ ($79) - This includes everything in the Comfort package plus the second mask of your choice, a pair of slippers, the use of a bathrobe, a table reservation at Lava Restaurant, and sparkling wine if dining. Retreat spa package: 205€ ($233) - You get exclusive four-hour access to the Retreat Spa and Retreat Lagoon, private changing rooms, the Blue Lagoon Ritual of minerals, algae, and silica, and much more. 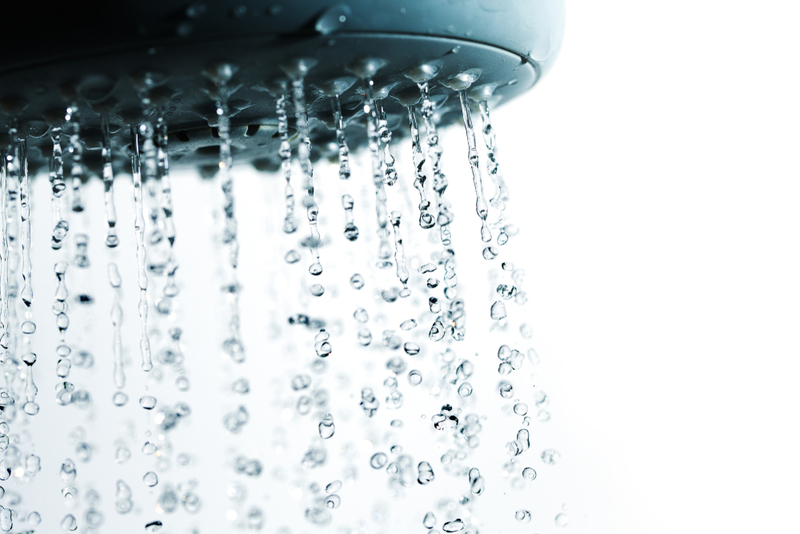 You can also opt for various in-water treatments, massages, and other rejuvenating options. One of the main reasons people come here (other than to keep out Iceland’s chill) is for the healing properties of the waters. They are filled with silica, sulfur, and other beneficial minerals. Bathers suffering from everything from arthritis to psoriasis soak here in the hope of improving their ailments. Although the lagoon itself is man-made, the waters are heated by geothermal volcanic activity. If you're wondering how long to stay, most visitors average three to four hours. Something very important to mention is bathing etiquette at the Blue Lagoon. In addition to common sense things like no running or being quiet and respectful of other patrons, there are some other things to keep in mind. The water at the Blue Lagoon isn’t treated with chlorine, so anyone wanting to get in will need to shower naked beforehand. It's important to clean the sweat, oils, and grime off of your body. 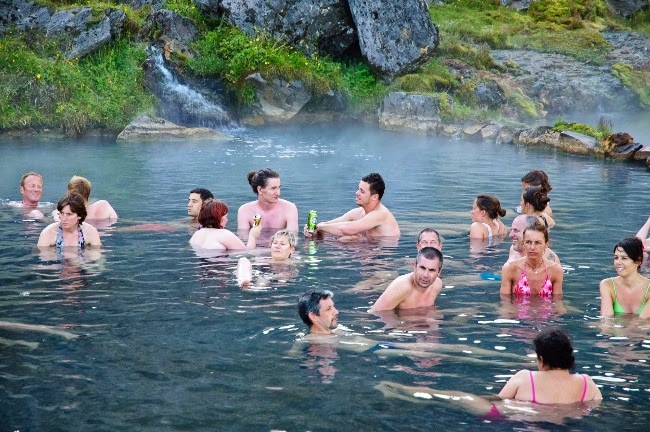 Iceland has a bathing culture, and this is standard bathing etiquette. Don’t worry too much about the water being dirty, though. The water is constantly being piped in and out. 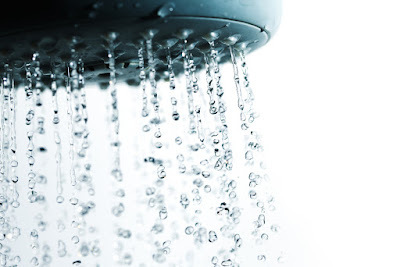 You’ll have a newly refreshed batch of clean water every two days or so. You’ve had a nice refreshing day at the Blue Lagoon geothermal spa. Now it’s time to head back to Reykjavik and rest up. Tomorrow is the last day on our 7-day South Iceland itinerary. We'll be exploring the Golden Circle and seeing some of Iceland's best sights. See you tomorrow!